In a way this is the most original hockey souvenir. Each piece is hand-made. The collection of a true fan should not be missing such a souvenir. 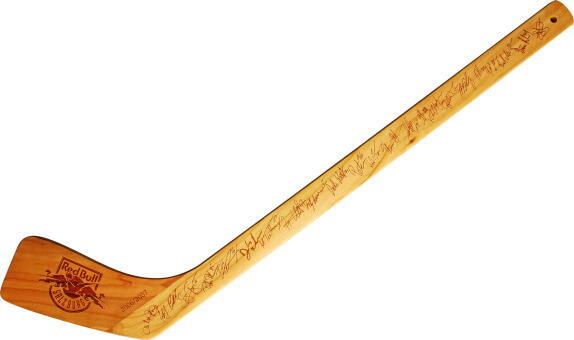 We can print on the wooden sticks (more suitable for larger series), but the best way is laser marking. Laser has one advantage - a single original piece can be made. Laser gives the product a touch of exclusivity. Mini-stick length is about 60 cm. Feel free to contact us. We will help you to choose the right product for you. Some possibilities are shown in the gallery, just for your inspiration.